Manufacturer of a wide range of products which include spline joint, double pin joint and spline pin joint. We are leading Manufacturer and supplier of Spline Joint. 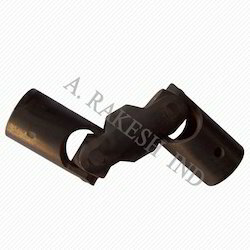 We are dedicatedly engaged in offering a commendable range of Double Pin Joint that is applicable for food products applications in which the coupling rods are used without bushes. The offered pin joint is designed using top notch quality raw material and sophisticated technology by our adroit professionals. The provided pin joint is rigorously tested by our quality examiners on varied parameters so as to ensure its quality. 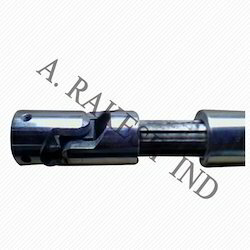 Apart from this, offered pin joint is available in diversified sizes, specifications and designs. Riding on unfathomable volumes of industrial expertise, we are offering an excellent range of Spline Pin Joint. The offered pin joint is designed under the strict supervision of our adroit professionals using the best quality raw material and innovative technology in sync with industry standards. Our provided pin joint is ridges or teeth on a drive shaft that mesh with grooves in a mating piece and transfer torque to it. 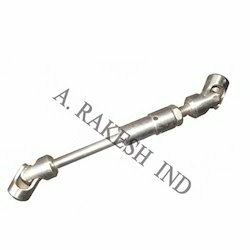 Besides, this pin joint is available in a varied sizes and designs in order to cater the needs of our prestigious clients.